Ten science's breakthroughs of the Year 2012 were announced by Science Magazine on December 20. Prof. Yang Haijun and Distinguished Research Fellow Liu Jianglai of SJTU Department of Physics have made major contributions respectively in two of the breakthroughs, namely, the Discovery of the Higgs Boson and Neutrino Mixing Angle. 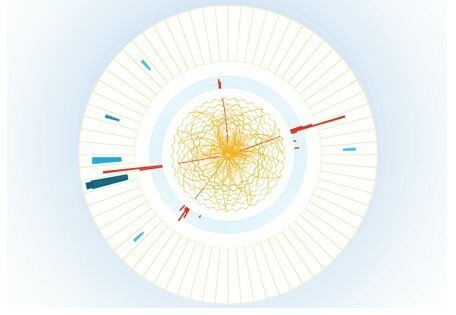 The finding of the elusive Higgs boson merits the recognition of the breakthrough of the Year 2012. And the research on Neutrino Mixing Angle was confirmed by Science Management and its issuer American Association for the Advancement of Science (AAAS) as a pioneering scientific achievement of 2012. Prof. Yang Haijun has been a member of ATLAS experiment since 2005 and is group leader of SJTU-ATLAS research team. As the ATLAS group production contact person, he has made great contributions to the historic finding of the Higgs Bosons. He is a pioneer to develop and apply an advanced data mining technique Boosted Decision Trees (BDT) for participle identification and event pattern recognition. 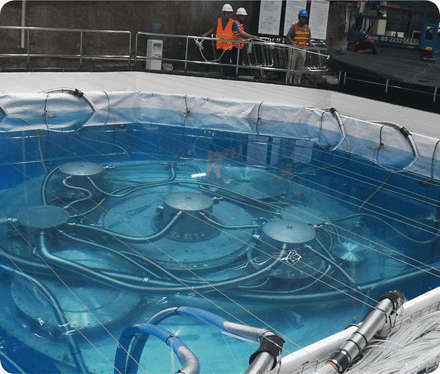 Daya Bay Reactor Neutrino Experiment was mainly constructed by Institute of High Energy Physics of Chinese Academy of Sciences. It is carried out under the collaboration of several Chinese and American teams. SJTU Neutrino Team is composed of Distinguished Research Fellow Liu Jianglai and two PhD candidates Li Gaosong and Gu Wenqiang. Liu Jianglai is the executive board member and manager of the automatic calibration system as well as serving on the analysis coordination committee. His team helped to measure the new neutrino probability, which has been critical to the worldwide achievement.